Our belief is that anyone diagnosed with ADHD needs a complete circle of support for optimal growth. We meet both the academic and social and emotional needs of children and teens through coaching and counseling services. Our referral network is extensive including both local services as well as those around the country. Our centers provides in person and virtual support via parent support groups, parent coaching, parent workshops and professional development workshops and seminars for clinicians and educators. 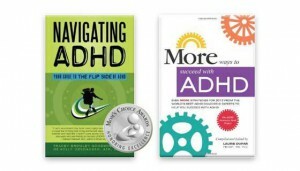 Navigating ADHD, Inc. uses proven strategies for success that can be implemented immediately following a session or workshop. We have support centers on Cape Cod and Nantucket and provide virtual services.